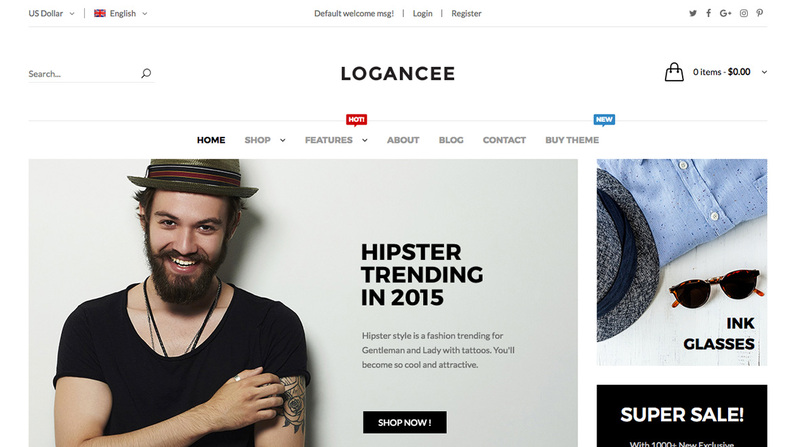 Logancee is an advanced Magento 2 theme fully customizable and suitable for e-commerce websites of any purpose. The template is characterized by universality, attractiveness and easy customization. With the gradients, unlimited colors and GoogleWebFonts you can create your dream shop in few minutes. In addition, we have created for you 13 basic version that you can further edit. The template is not only visually appealing, but also uses the newest trends in coding with the use of html5, css3 and bootstrap 3. Compatible with Magento: 2.0.0, 2.0.1, 2.0.2, 2.0.3, 2.0.4, 2.0.5, 2.0.6, 2.0.7, 2.0.8, 2.0.9, 2.0.10, 2.0.11, 2.0.12, 2.0.13, 2.0.14, 2.1.0, 2.1.1, 2.1.2, 2.1.3, 2.1.4, 2.1.5, 2.1.6, 2.1.7, 2.1.8, 2.2.